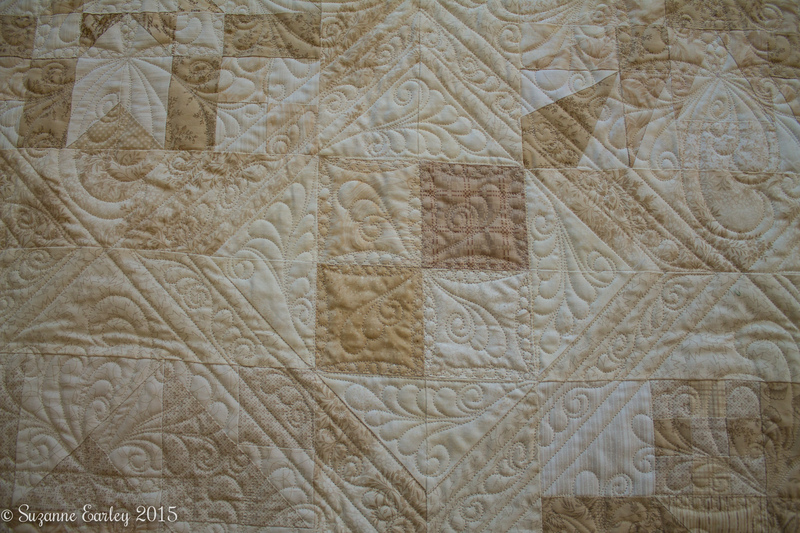 Neutrals Sampler Quilt — Finished! 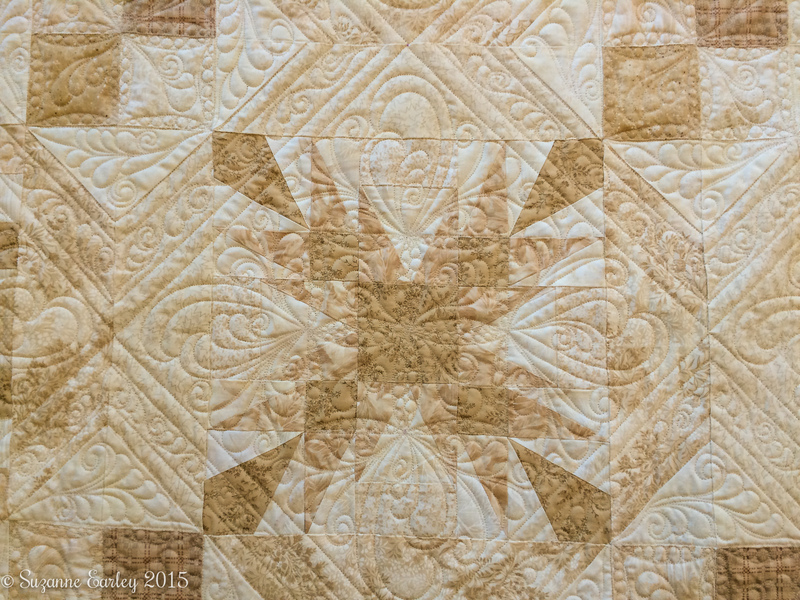 You are here: Home / Blog / Quilting / Neutrals Sampler Quilt — Finished! I started working on this beautiful sampler LAST Christmas Break, but life got away from me. Luckily, my customer is VERY patient, but I had put this off long enough. She has made many samplers (she trades blocks with several other quilters), and I always try to do something a little different. My idea with this one was to break out of the “block” and split the space up a little differently. 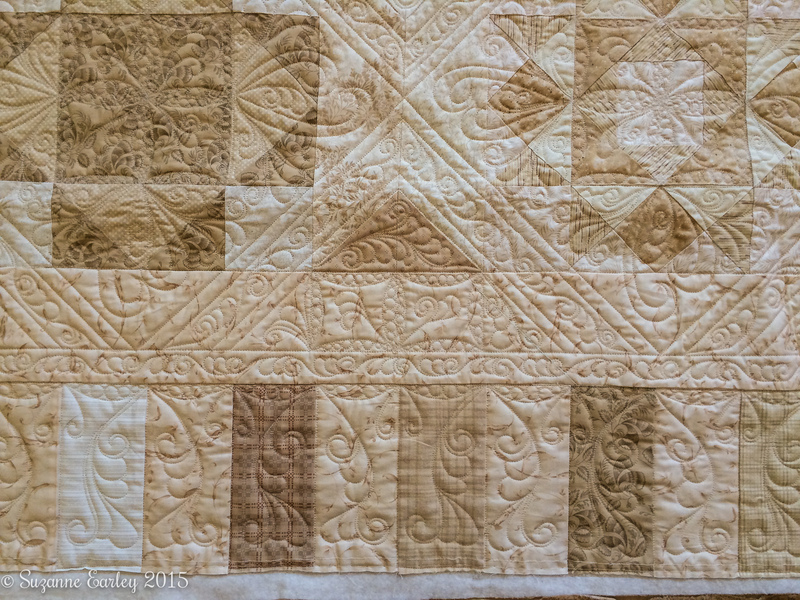 I spent some time on the Green Fairy Quilts website looking for inspiration. 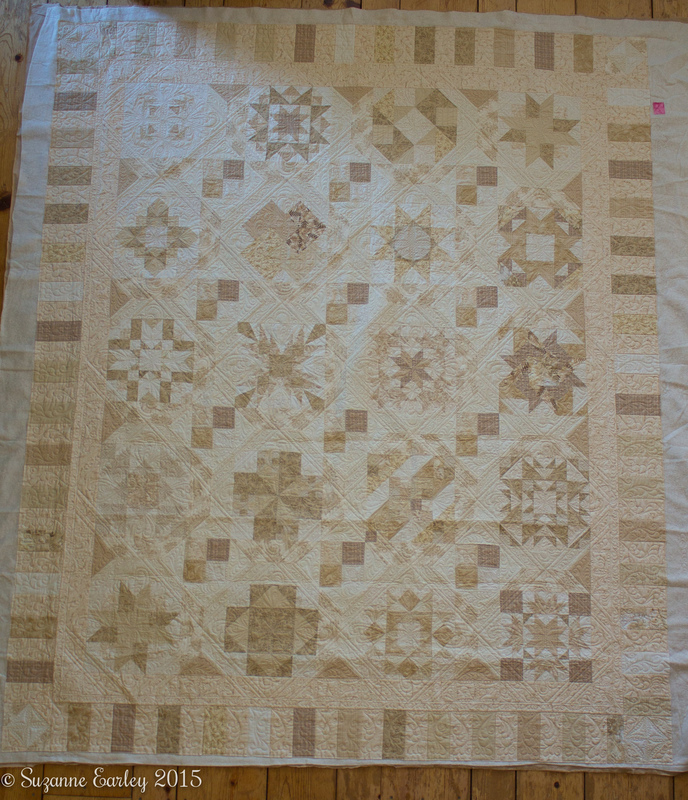 The quilt is a little hard to photograph with my current lighting conditions (i.e. the light is TERRIBLE, thanks for nothing Iowa winter…), but hopefully you can tell that I basically ignored the blocks themselves, creating my own “blocks” on a diagonal, adding in my own divisions. I’m particularly proud of the border design! The main blocks were done continuously. The alternating blocks, with the extra “border” had some extra starts and stops. The thread is Superior Threads So Fine in the top and Bottom Line in the bobbin. No pics of the back, they don’t really show anything you can’t tell from the pictures I’ve shared here. It’s all freehand (well, with ruler for the straight lines.) I’ve pulled out a few photos to highlight, but then have a slideshow with several more below. Here’s the slideshow with the rest of the pictures. You can scroll through, but if you click on any of the images, it’ll take you to the picture’s Flickr page, and you can view it full sized. It is really beautiful, you’ve adapted Judi Madsen’s patterns, but realized them in your own style! Isn’t it interesting how we each have our own “handwriting” almost? Thanks for visiting! Very beautiful. Very innovative. I shall treasure the pictures.